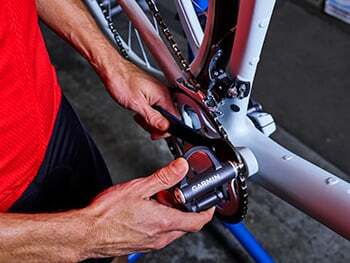 The Garmin Vector 3 is the latest update to Garmin's pedal-based bike power meter, eliminating the external pods and making installation and maintenance easier than ever. The Vector was Garmin's first bike power meter and it brought competitive pressure to the power meter market, helping make power meters more affordable and easier to use. Unfortunately, the first generation Vector also had periods where reliable firmware was a concern and the portability promise of the Garmin Vector wasn't quite realized. The release of the Vector 2 helped address these issues, as customers got the type of stability and ease of use one might expect from a second-generation product. But the new Vector 3 takes the product one step further, eliminating the external pods that housed the battery and communications pieces of the previous models and making installation as easy as installing any pair of pedals. Like all power meter pedals, you'll want to make sure that you use a spacer to prevent the pedal body from rubbing against the crank arm. And you don't need a torque wrench during installation any more - just turn your pedal wrench until things feel snug like you would regular pedals. In addition a simpler installation process, the new pedals have a sleeker look and weigh 17g less per pedal. The Vector 3 also has improved bearings over the previous Vector and an improved spindle body. 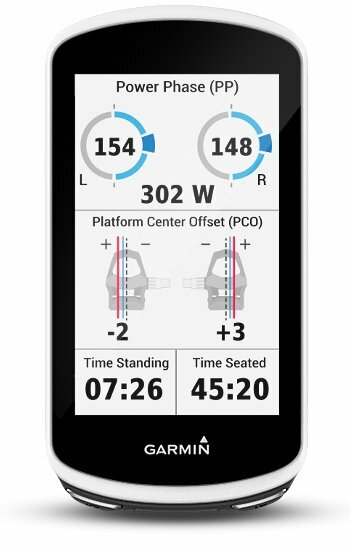 Technologically, the Vector 3 adds Bluetooth Smart which enables firmware updates through the Garmin Connect mobile up. Previously you had to use a Desktop computer or a Garmin Edge computer. The certified rider weight limitation on the Vector 3 is now up 15% to 231 lbs, up from the 198 lb recommendation of the previous Vectors. That indicates you should expect the Vector 3 to be a bit more durable than prior models as well. One area where there has been a small step back is battery life, with Garmin telling us to expect 120 hours of use if you have Cycling Dynamics and Bluetooth Smart enabled. If you disable those options, you'll get close to the 150 to 175 hours of life you could expect with previous Vector models. and the lower cost Garmin Vector 3S, which provides only a single-side power reading and loses Cycling Dynamics metrics. The Vector 3 features ANT+ compatibility, LEDs to display device status, a 1 year standard warranty, and Look Keo cleat compatibility. The Vector 3 has shifted to LR44 coin cell batteries from CR2032 batteries, and the batteries are now internal to the pedal body. To access the battery, you just need to remove the small compartment on the edge of the pedal using an Allen key. If you purchase the Vector 3S but want to add the capabilities introduced with dual-sensor pedals at some point in the future, the 3S can be easily upgraded to a Vector 3 dual-sensing system. The biggest advantage the Vector is that, like other pedal-based power meter options, it is easily transferred between bikes. If you ride multiple bikes and don't have the budget or desire to invest in multiple power meters, then the Vector is a great option. That said, if you are committed to a pedal platform other than Look Keo or Shimano SPD-SL, the Vectors might not be right for you. The Vector 3 improves the Vector 2 in almost every way, and we expect the Vector 3 to be a big hit for riders looking for a reliable power meter that can be moved from bike to bike. With the Vector 3 dual-sensing system, you get the valuable ability to see right and left leg power independently. Vector 3 measures total power, cadence and left/right balance as well as advanced cycling dynamics, which helps you tailor your training around your specific weaknesses and strengths to improve your form. It tracks seating/standing position to determine when and how long you were in each. So, you can gauge position effectiveness, power phase to show how you’re currently producing power in a pedal stroke and platform center offset to show where power is applied on the pedal so you can ensure proper cleat position. Get the most from your training by seamlessly pairing your Vector 3 with compatible Edge cycling computers, ANT+ or Bluetooth-enabled fitness devices — including compatible Forerunner® and fēnix® devices — and Garmin Connect Mobile app. Plus, you can easily update software with any of these devices.